Offering a unique, hands-on guide to advanced self-transformation, James Endredy shows how traditional shamanic techniques offer a doorway into the sacred art of alchemy, the inner transformation of the soul. 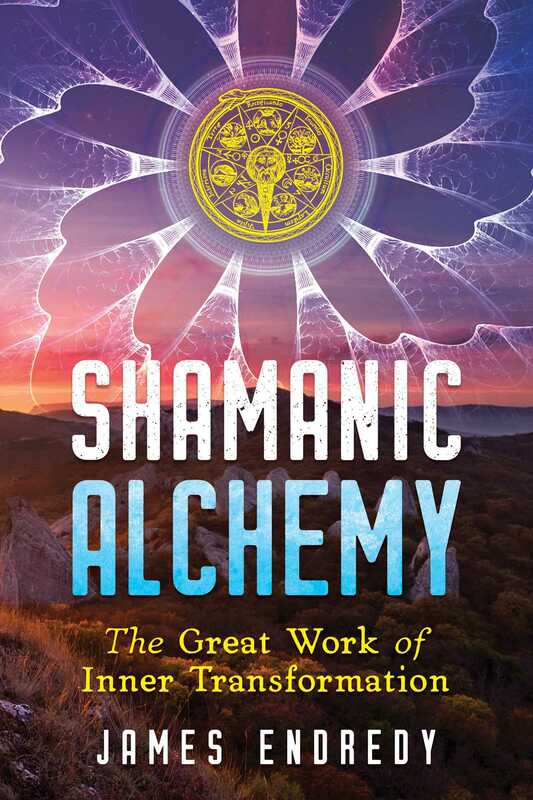 Revealing the practical and intuitive connections between shamanism and alchemy, including not only Western alchemy but also alchemical practices from the East, Endredy recasts the 7 stages of the alchemical “Great Work” as a transformative shamanic journey and initiatic experience. He provides step-by-step instructions for 18 shamanic alchemy practices for inner transformation, including vibrational energy work, consciousness-altering techniques, the creation of mirrors of the mind, shamanic viewing, and sacred ceremonies tied to the four elements. Exploring the healing art of spagyrics, the author shows how this alchemical plant-medicine practice is receptive to the energetic work of traditional shamanic techniques. He details formulations for distilling shamanic spagyric remedies, as well as recipes for basic tinctures and “plant-stones.” He also discusses the creation of sacred space, altars, and shamanic distillation lodges. Comparing shamanic and alchemical cosmologies, the author explains how both shamanism and alchemy employ direct experience of the numinous and invisible worlds, also known as gnosis, to impart wisdom, invoke peace of mind, and increase creativity and vitality. Showing how the practical vibrational science of alchemy and the consciousness-transforming techniques of shamanism directly enhance and expand upon each other, Endredy also reveals how they have the same ultimate goals: to allow the practitioner to transmute spiritual lead into gold and to penetrate the deep secrets of life and of nature. The legendary alchemist Frater Basil Valentine is attested to have been a fifteenth-century Benedictine monk; however, historians tell us that Valentine’s work was more probably written by several different alchemists of the time who wished to remain anonymous. In any event, alchemic works ascribed to Valentine have been used by alchemists for centuries, and the basis for many of Valentine’s works comes directly from much older sources such as the Emerald Tablet, which could date back thousands of years. In attempting to decipher the messages of the Emerald Tablet ancient alchemists came up with seven operations, steps, or stages to be performed on matter. In this sense matter can be conceived as physical, psychological, or spiritual in nature. These seven steps are a mainstay to alchemy even to this day and as such may be used as a guide to shamanic alchemy practices. Frater Valentine provides us with an intricate mandala that is in reality a map that leads through the seven steps. The seven steps are calcination, dissolution, separation, conjunction, fermentation, distillation, and coagulation. The third star ray points toward the torch of Fire and includes the cipher for Iron and Mars. The third circle shows the operation of Separation in which the Black Soul Bird splits into two White birds that descend to retrieve the remains of Calcination and Dissolution. The action and symbolism of Air is found here by the blowing of the torch and also the first time we see birds actually flying. The word Terrae means “of the earth” and symbolically represents the tangible essences and energies that are separated out during this stage. The shamanic alchemy approach to psychological separation involves becoming aware of the illusions we have about ourselves and separating the personality into its basic components. In doing so the shaman-alchemist becomes aware of the opposites within. With the practice of exploring opposites it is possible to become even more healthy, whole, and mature. Exploring the consciousness of a specific animal or converting their perception to experience the energy of the wind, sun, or rain. Engaging in isolated excursions into the wilderness to obtain vision and guidance. By completely removing themselves from their normal environment, people, and food, they open the door to perceive the mystery of the world from a fresh perspective. Elders of shamanic tribes using counter-practice when assigning tasks and roles for people in ceremonies. One example of counter-practice occurred on one of my early pilgrimages to Wirikuta (the peyote desert). Two days before leaving from the village I noticed my friend Rosendo looked all downtrodden. He told me he wasn’t happy that the Elders chose him to represent Tatei Matinieri in the pilgrimage. I thought Wow, being Tatei Matinieri is a real honor--it’s the sacred spring in Wirikuta where the shaman sings blessings and prayers for the children back home and blesses all the pilgrims with the sacred water. It is also the place where they collect the yellow uxa root the women crush for face paint for the sacred designs painted on the pilgrims faces. So I asked him what was wrong. He told me that first all he had never been to Wirikuta and so had not been to the sacred spring. Second everyone knew he didn’t like water; when he went on pilgrimage to Tatei Haramara (sacred site at the Pacific Ocean), he was the only one that didn’t go in the water. (It’s not necessary to go in the water; their ceremony is on the beach.) And third, being Tatei Matinieri was for women; he had never heard of a man doing it. Just then Rosendo’s father walked by and nonchalantly said to Rosendo, “You ready?” The tone of his voice and the fact he kept walking did not elicit a response from Rosendo, but he did become more agitated and said he was going to do something about this situation and go talk to the Kawitero (Elder). The next morning Rosendo came to me. He was very excited and told me how the old Kawitero told him all about the pilgrimage and especially his role as the sacred spring. He also said that he and the Kawitero ate some peyote and the shaman took him on a dream ride to Tatei Matinieri so now he knew exactly what it looks and feels like. He was extremely elated and animated. Wow, what a change! In one fell swoop the Kawitero gave Rosendo two counter-practices. Counter-practice one was going to be Rosendo representing water. Counter-practice two would be carrying out the ceremonies along the way and helping him at Tatei Matinieri--a task normally a woman would do. Once the Kawitero got him excited to be the sacred spring, Rosendo apparently couldn’t get enough information. The Kawitero knew that by having Rosendo do these counter-practices for two weeks on the pilgrimage he was helping him become more mature and balanced.